A few weeks ago we had to do a double take as we passed one of these posters. 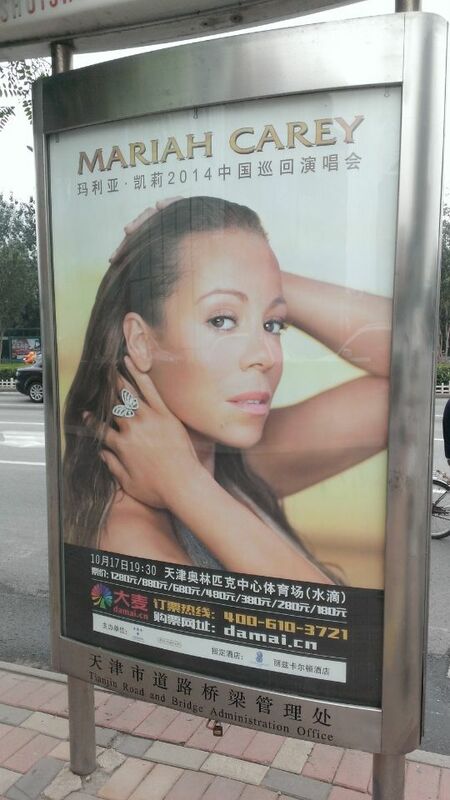 A bit of research and we could believe it, Mariah Carey is coming to Tianjin. A few emails and phone calls (with the help of a Chinese speaking colleague) I have managed to sort out more than 20 tickets to the show. For me this is a definite blast from my past, for Mr T however it is simply something different to do in Tianjin. A full report and pictures to come, 12 days and waiting! !